How to skip Cart page and redirect to Checkout page in WooCommerce? If you own an eCommerce store, you must have tried different ways to pursue customers to complete the order transaction. A large number of such customers back out or do not complete the transaction due to a very tedious Checkout process. 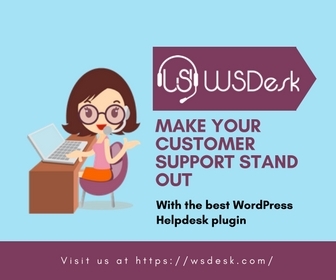 In such case, you lose a chunk of users who could have been your potential customers if you would have optimized your Checkout page for better customer satisfaction. Only a handful of interested customers make a purchase. When it comes to your WooCommerce store, you sure have wanted to make the Checkout process quicker for effective conversion. The most usual strategy is to skip the cart to take your customers directly to the Checkout page to place the order. This could help you push your customers for the purchase and also save your customers’ time for completing the order transaction. In this article, I’ll show you three effective ways of skipping Cart page and redirecting to the Checkout page in WooCommerce. Let us understand each method in detail. Surprised? 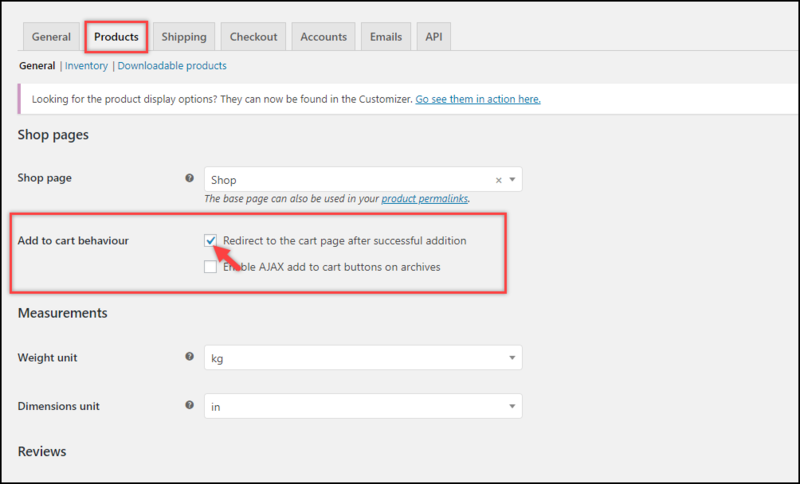 Yes, you can easily skip Cart page using WooCommerce default settings. This method involves some settings to be configured and a little tweaking of code in the end. Go to WooCommerce > Products settings. 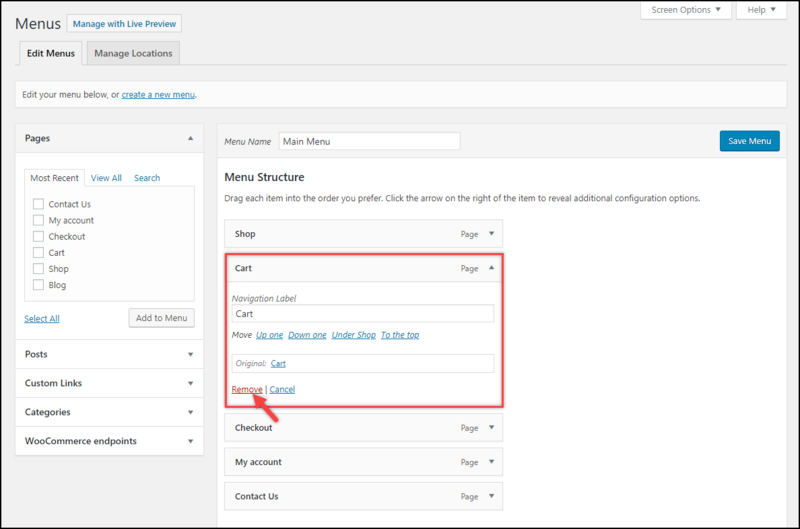 Under the General section, you need to configure Add to cart behavior settings. Tick the first checkbox to redirect to the cart page after successful addition of product(s) as shown in the screenshot below. Click on Checkout tab and scroll down to find Checkout Pages section. Next, for the Cart Page setting, select Checkout page option from the drop-down list, as shown in the below screenshot. This will now make the Add-to-Cart button to redirect to the Checkout page, instead of Cart page. A simple demonstration is shown below. If you have listed Cart page link on the main menu of your website, it will still lead to your cart page. Hence, you can either choose to retain it or remove it from the menu. If you want to remove the cart page link from the menu, go to Appearance > Menu settings. Under the Menu Structure section, click on Cart option and click Remove as shown in the screenshot below. As you have noticed from our demonstrations, even though the Add-to-Cart click action is leading to the checkout page, the text still displays Add to Cart. Hence, this needs to be changed. To do this, you need to add the following code snippet in the Themes function (functions.php) file of your activated website theme. You can find this file in Appearance > Editor > click on functions.php file listed on the right. //Changing Add to Cart text to Buy Now! The above code snippet replaces the default Add to cart text with Buy Now! in shop page as well as in the individual product page. Following screenshot shows the updated text for the action button. Updated Add to Cart text to Buy Now! Use a plugin to customize Add-to-Cart button text: If you are not comfortable adding a code snippet or want more customization to the action button, there are some free plugins that you can make use of. WC Custom Add to Cart labels: This plugin allows you to customize Add-to-Cart button text based on product types. You can set custom text for simple, grouped, external, variable, and bookable products for single product page as well as archive/shop page. 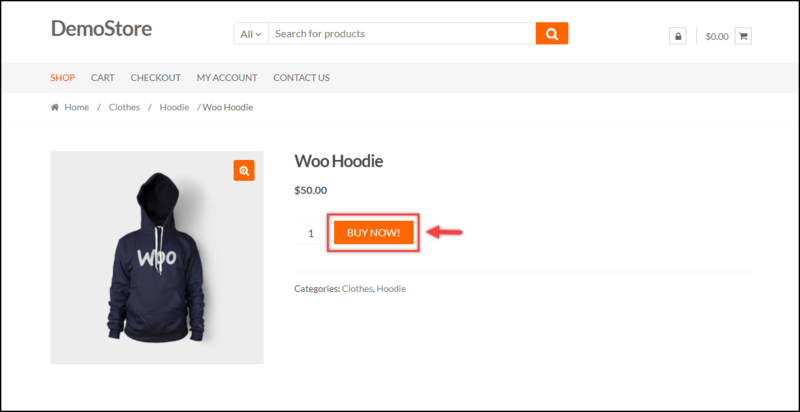 Woo Button Text: With this plugin, you can set a custom Add-to-Cart button text for single product page and shop page, and also provides a customization option for Place Order button on the Checkout page. Not just this, the plugin also allows you to change the color and style of the button(s). That’s it! 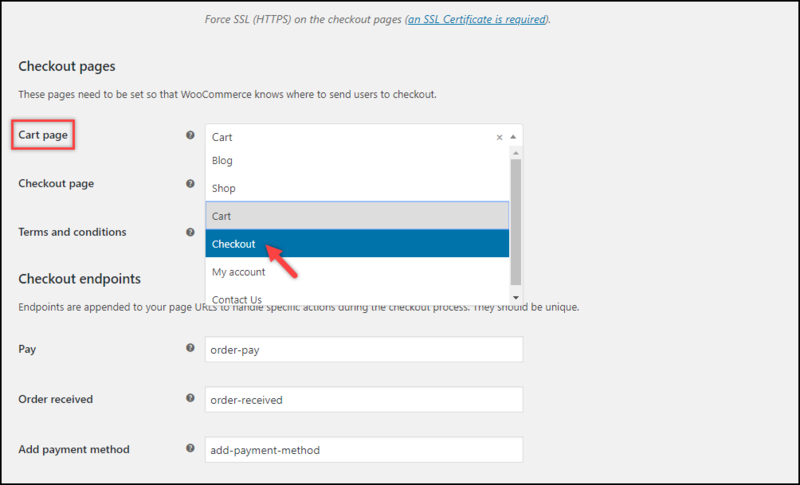 you will now able to skip the cart page and redirect to checkout page in your WooCommerce store. Although, this method is useful enough, let us see alternate ways. When we are able to achieve our WooCommerce checkout goal with just simple settings, why would we opt for plugins? Well, the answer to that question is more customization and convenience. 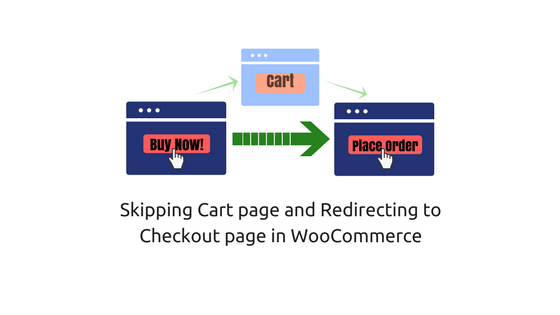 The most popular plugin for skipping cart page is WooCommerce Direct Checkout. In addition to skipping cart page and redirecting to a custom page, this free plugin allows you to set a custom Add-to-Cart button text. Additionally, the plugin includes an option to add a continue shopping button on the product page. The plugin settings are as shown in the below screenshot. Following screenshot shows a sample product page with custom action buttons. 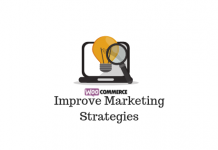 The last method involves using code snippet for skipping the WooCommerce cart page. This method is also simple like the other two which I have explained earlier in this article. Add the following code snippet in your functions.php file of your activated website theme. The above code snippet will redirect Add-to-Cart action from shop page and individual product page to the Checkout page. You also need to change the Add to Cart button text. To do this, refer the same methods that I discussed in the earlier section of this article(refer here). The above-discussed methods will help you skip cart page and redirect to the checkout page on your WooCommerce store, reducing the steps in your transaction funnel and hence making your checkout flow smoother. Having said that, you might also need to carefully devise strategies to pursue your customers for making more purchases. 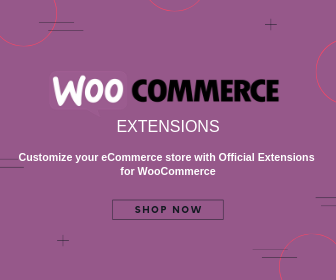 For such cases, you can use some effective WooCommerce Checkout plugins for making your customer experience easy going. There are a lot of store owners who wish to customize their checkout page by adding desired custom fields to their checkout. This has helped them in many ways. If you are one of them, I suggest you read our article on WooCommerce Checkout Field Editor for better conversions. Do let me know in the comments section which method worked for you. Would love to hear from you! Thank you for this help. I also want to display a checkout slider when user click cart page. How can i do this? 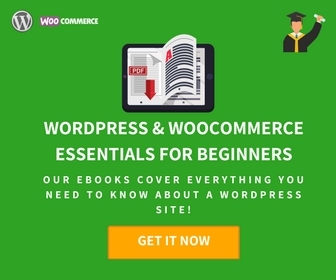 You can see the feature here https://codecanyon.net/item/woocommerce-direct-checkout-skip-cart-or-checkout-on-same-page/21456470 .